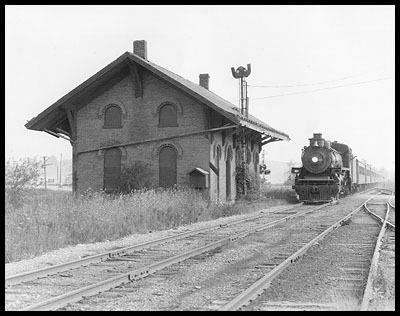 Here are some nice pictures that have been sent by Jeffrey L. COHN of the old station of New Haven Junction, VT.
Steamtown (ex-CPR) #1293 Pacific passes New Haven Jct. 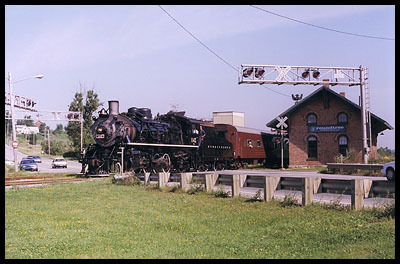 VT northbound with "Vermont Bicentennial Steam Train", August 1976. 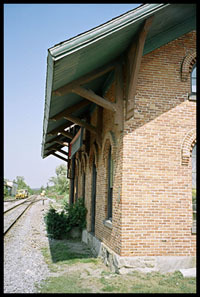 The train ran Burlington-Bennington daily during August 1976. 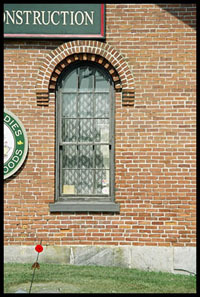 Note that the station is still boarded up, but still has a nice telephone box on the north end. 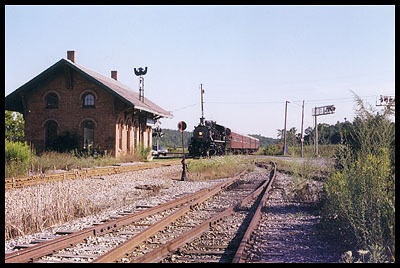 I remember that it was a hot and steamy day...not just because of the locomotive. 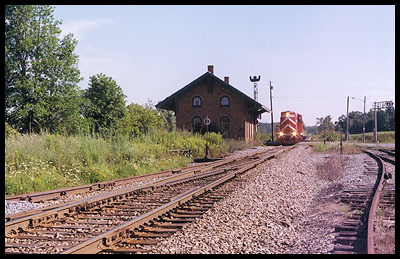 Chinese-built SY-class #142 of New York Susquehanna & Western hauling northbound Rutland-Burlington excursion, August 8, 1998 at New Haven Junction, VT.
Vermont Railway "Champlain Valley Weekender" Middlebury-Burlington northbound at New Haven Junction, VT, August 8, 1998. 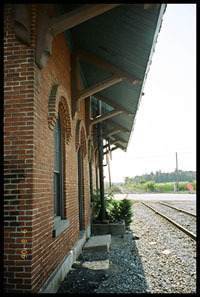 This is the southwest side of the station, with the SY headed south, Burlington-Rutland, across US 7. 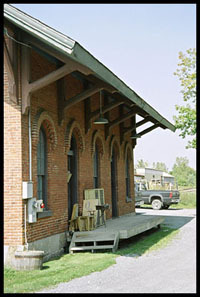 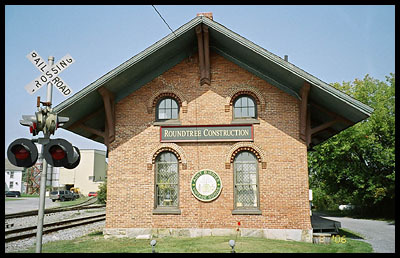 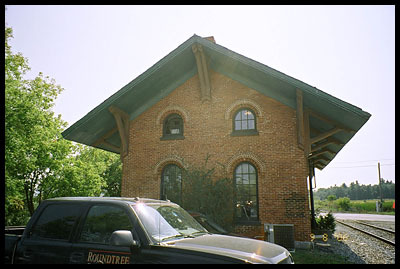 On September 8th, 2006, Jeffrey L. COHN went once again to the old station of New Haven Junction, VT, and took these pictures.